If you have not had a chance to fill out our iPad Survey, please click here or click on the image to the left to be directed to the short survey. We are interested in whether you own an iPad, whether or not you allow your children to explore the apps, and what your child's favorite apps might be. Your input and feedback is important. Update: As of February 15, we have received 102 responses! click on the password-protected Survey Comments page. 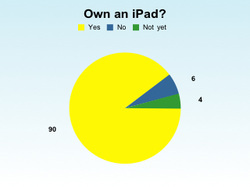 Do your children have access to your iPad? 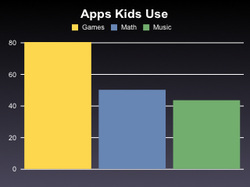 What type of iPad apps do your children enjoy? 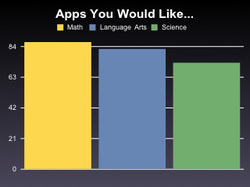 What type of apps would you like to see used in school? 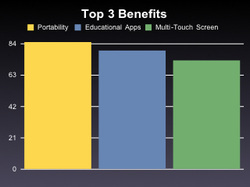 What benefits do you see in using the iPad at school? 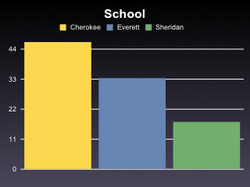 Which school do your children attend?